On our recent road trip to Florida I downloaded two books to listen to as we drove the 18 hours or so it took us to get to sunshine and warmer temperatures (note: We arrived to cloudy skies, strong wind gusts, and cool temps predicted to have wind chills in the 30s at night. No snow though!) 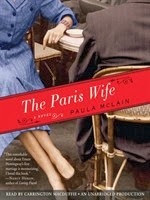 The first book we listened to was The Paris Wife by Paula McLain and read by Carrington MacDuffie. It was very good. The Paris Wife is the fictionalized story of the early years of Ernest Hemingway when he met and married Hadley Richardson. They lived in Paris the five years or so they were together and the story includes many of the writers and artists of the day that were gathered in this clutch of intellectualism. It is told from the point of view of Hadley who was entirely in love with Ernest despite his quirks. It reminded me some of the movie Midnight in Paris that also portrays this group partying in Paris and our trip when we visited The Shakespeare and Company Bookstore where many of the writers were offered space to use as they created their literary works. 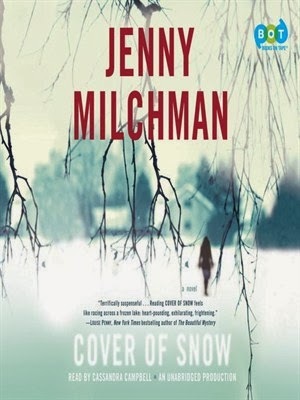 Next we plugged in Cover Of Snow by Jenny Milchman and read by Cassandra Campbell. The story line was good, a mystery to solve involving the apparent suicide of a police officer but right away I knew I wasn't in for a good "read." 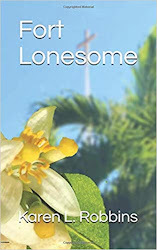 In the opening, as the protagonist discovers her husband's body, the reader was overly melodramatic and slow. Really slow. At a point where the heartbeat of the wife should have been racing, the words were slowly coming out. So slow I wanted to shout, "Get on with it!" Not having another book to plug in at the moment, we continued on and were hooked on the plot enough to want to see it through but I would have much rather read this at my own pace than listened to it. 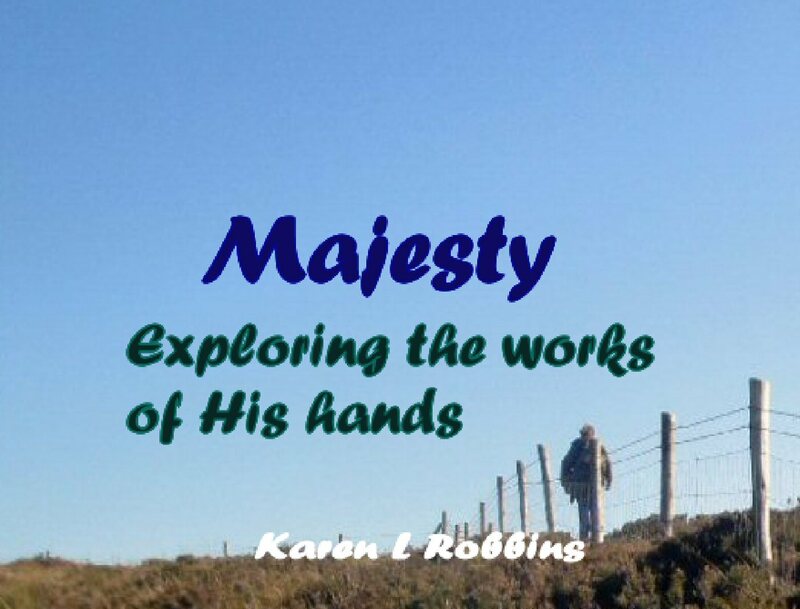 Now I need to find a book with a good story line and a male reader. My husband has tired of the female readers. Time for a good suspense thriller with a male protagonist and a reader who keeps you awake on the highway.